I was sent a copy of this book by Bloomsbury publishing in exchange for an honest review. Megan Bright has just been diagnosed with cancer and is admitted to a children’s ward in hospital to undergo treatment. She’s sullen, upset that it’s messing with her life and annoyed by all the dancing elephants on the walls and babies on the ward. Megan’s so secluded and frustrated that she doesn’t notice Jackson Dawes until he runs into her; literally! Whilst everyone is star-struck by Jackson and his happy-go-lucky personality – including her mother - Megan would rather roll her eyes and try to ignore him. Except; Jackson doesn’t get ignored, ever. Jackson keeps pushing, and slowly his contagious personality wears Megan down. He fills her drab and dreary world with colour and lights, distracting her from the foreboding treatment she’s undergoing. Jackson seems like the only one who understands what she’s going through and they grow closer and closer with each and every day. All this is good, considering the tricking times ahead they both will have to face. 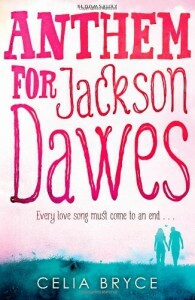 Anthem for Jackson Dawes was an interesting novel to read with a very emotional storyline. I was expecting a blossoming romance between Megan and Jackson, but I was disappointed to find that the romance was very thin on the ground. The book suggests a budding relationship, but from how I read it, there was a beautiful friendship with no proper romance at all; which was sad, but not the end of the world. I’m still a bit on the fence on how I feel about Megan’s character. Her personality wasn’t overly well developed and she acted very stroppy and rude at the beginning of the novel. However, as the book progresses, she does develop and transforms into a much nicer, more carefree character. Her entire change is all to do with Jackson. At first, Megan doesn’t want to accept she has cancer, and acts like no one else in the entire world can understand how she’s feeling. 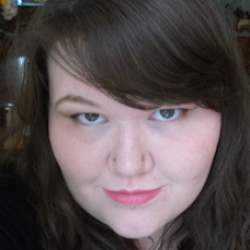 But slowly and surely, Jackson creeps under her skin, lifting her spirit and bringing light back into her life. Even though by the end of the book we still don’t know a whole lot more about Megan, I believe we have a better understanding of her. Jackson is a ray of light, bursting through the sky and a whirlwind exploding into hundreds of different colours. He is such a bubbly character and I loved this determination to break the rules and to try and live every day as if it were his last. Jackson is loved especially by the little kids, he tells stories and plays games with them to try and distract them from the bad cancer cells. Even though the book doesn’t really go into much more detail about Jackson’s character either, I thought he was really memorable and had this charm and way about him that made you unable to hate him and his optimism. There were a few aspects of this book that really annoyed me, but the thing that I kept picking up on the most was; ‘Will I get a nurse?’ and ‘Will I come round there?’ This phrasing was used quite a bit and thoroughly frustrated me. First off; it’s doesn’t make sense – the correct way to say the sentence should be; ‘Shall I get a nurse?’ or ‘Shall I come round there?’ I’m a big fan of punctuation and grammar and this really bugged me every time someone spoke like it throughout the book. Now, this maybe the way the people talk in the book from their part of the country, but I’ve never heard anyone speak like that before.